The goal of Union Collective is to provide high-quality cannabis medicine and healing services to people suffering from chronic ailments. The company strongly believes that a reliable provider of medicinal cannabis products is an essential service to the community, so it has decided to take this mantle and serve people of Los Angeles. 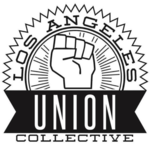 Union collective constantly seeking to expand its services to the patients. The friendly and knowledgeable staff is always here for you, waiting to assist you with all your needs. Just ask for a free consultation on the matter of choosing the right grade of mmj for you, and budtenders here will walk you through all the intricate details. With cooperation from the local community, Union Collective has established itself as a premium alternative medicine dispensary, and is waiting to help you.